As an affiliate marketer, it’s astonishing to see how many online merchants don’t have an affiliate program in place to market their goods. Basically, they’re LEAVING MONEY ON THE TABLE… and lots of it. Who knows? Maybe they’re afraid of ’sharing’ their profits and ‘losing out’ somehow? Having hundreds and thousands of affiliates promote your products INCREASES net profits – it doesn’t cut into existing income. Get Free Promotion – As a merchant, finding suitable websites on which to run your ad campaigns is a time consuming and expensive process. Putting an affiliate program in place requires a much smaller investment. A successful affiliate program can easily become an online merchant’s largest traffic generator. Increase Search Engine Ranking – Search engines, Google in particular, calculate link popularity as one of the main factors in how they list and rank sites. As such, links into your site from affiliate sites certainly help to improve your rankings. Improve Brand Popularity – How did strictly online brands like Amazon and Match.com become so popular? Because of their affiliate programs! When you have tens, or even hundreds of thousands, of affiliates all promoting your site, you gain phenomenal exposure. Better yet, all that exposure is free but for the cost of the affiliate program set up and the commissions you share with your affiliates when they make a sale. I know from personal experience that my affiliates are responsible for the lion’s share – around 75% – of sales of my Super Affiliate Handbook. Letter from a VERY Happy Merchant who started his own affiliate progam. It’s been awhile since we spoke on the phone and I wanted to give you an update on how much my business has grown in a very short time, due in no small part to the advice I received from you about starting my own affiliate program. If you recall, we initially spoke in October, 2003. 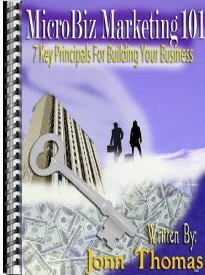 I had just purchased your Super Affiliate Handbook and had a thousand questions about affiliate programs. I invested in an hour of telephone consultation with you and it turned out to be the best investment I could have made in my business because that call sparked my desire to build my own affiliate program. To refresh your memory, I already had a very successful web site called DropshipWholesale.net (http://www.dropshipwholesale.net ) which sells my own copyrighted line of informational products focusing on selling dropship and wholesale merchandise online. My customers consisted of people looking for dropship information and products to sell on eBay and those looking to start their own online sales business. The primary reason for my call to you was to get your advice on how to better market DropshipWholesale.net and the related line of products. Your advice on marketing was excellent, but it was your suggestion that I start my own affiliate program that really sparked the fire. I launched the DropshipWholesale.net Affiliate program a few weeks later and to say the least, the results have been nothing short of phenomenal. affiliates, but as you pointed out it is my affiliates who are helping me build the business, so the thousands of dollars I pay out each week to affiliates truly is money well spent. I am on track to do over $500,000 in revenue this year with over $200,000 paid out to well-deserving affiliates. My affiliates and I thank you for you contribution to our success. Now, if that doesn’t convince you that you need to start your own affiliate program – I don’t know what will. Perhaps it’s the prospect of going through all the rigamarole of searching for, and finding, the perfect affiliate program solution, stops some merchants from setting up their own programs. Well, I dislike ‘rigamarole’ as much as, (probably more than), the next person, so let me allay those fears. Setting up an affiliate program is just not that big a deal. All those merchants with affiliate programs now in place can’t possibly be Internet Einstein’s, so don’t expect starting an affiliate program to tax your gray matter any more than anything else you’ve done in your online business. OK, I hear ya, but there’s always out-sourcing. And remember, the more you outsource, the more time you have for playing golf or with your kids. Custom Software – You can have proprietary software written and hosted on your own server. However, unless your company has very specific needs not served by other solutions, this can be a very costly endeavor. I highly recommend that you look at a number of third party solutions before resorting to this option. Affiliate Network – Affiliate networks are the most expensive, yet feature-rich affiliate management solutions. Some networks charge either a flat monthly fee or a percentage of sales to handle all your affiliate sales transactions and in handle commission payment processing. The biggest benefit to joining most affiliate networks is that thousands of affiliates will be introduced to your offer as soon as your offer is made available on the network. Some networks are trade-specific, such as Credit Soup, which promotes only offers from credit card companies and financial institutions. Remotely-Hosted and Third-Party Software – You can buy an existing script for placement on your own server, or lease a solution that resides on the leasing company’s server. Shopping Cart Integrated – Some shopping carts, like 1ShoppingCart have affiliate program management solutions built right into them. Because the topic of proprietary software is outside the scope of this article, we’ll move right on to Affiliate Network Solutions. Do You Sell Digital Products? If you sell a digital product, like an ebook or software, you should definitely consider Clickbank, which acts as a third party payment processor, (say THAT 3 times fast) and has a built-in affiliate program/network. Clickbank has thousands of affiliates in their network who are always looking for digital products to promote…Nothing but nothing sells like information on the ‘net, and Clickbank affiliates know that well! Clickbank is the company I use to process sales of my Super Affiliate Handbook. Jim Edwards and I also use their services for Affiliate Business Blueprint sales. Checks arrive like clockwork every two weeks. It’s super cheap to set up with Clickbank too. There use to be a one-time $50 setup charge (now it’s free) , and then a $1.00 fee and 7.5% applied to every order processed. Order fees are split between you and the affiliate who referred the sale. Sure, Clickbank’s affiliate program has its limitations, not least of which is the inability to contact the affiliates who promote your product. Nevertheless, it is a ‘best bet’ for getting an affiliate program started quickly, easily and inexpensively. In many ways, PayDotCom is similar to Clickbank in that it is a third-party payment processor with a built-in affiliate network. PayDotCom offers a couple of options that Clickbank does not, so you may want to consider joining both. PayDotCom lets the merchant choose whether or not a customer’s purchase should be refunded, whereas Clickbank refunds immediately on customer request provided the request comes within the allowable period. PayDotCom also uses PayPal and StormPay as payment processors. Clickbank doesn’t offer the Stormpay option. Do You Sell Hard Goods or a Service? Merchants who sell hard goods and services have many affiliate program management solution options… and I do mean many. Do you want to have your program introduced to tens of thousands of affiliates… today? Then consider partnering with Commission Junction, the largest affiliate network. offset the initial and ongoing costs of having CJ administer your program. If you’d want to save money and don’t mind finding your own affiliates then a Third-Party affiliate management program solution may be right for you. My Affiliate Program is a very popular robust and completely customizable third-party hosted Affiliate Tracking and Management solution offered by Kolimbo (Kowabunga Technologies).They brand themselves as the ‘The Original Affiliate Tracking & Management Solution Provider, Since 1997′ and claim to ‘power over 500,000 affiliates, and 2000 private networks, and continues to hold its place as the #1 private affiliate software and management solution on the market today.’Indeed, many of the most successful companies with which I do business use the ‘My Affiliate Program’ to power their affiliate programs. Assoctrac by the ‘Internet Marketing Center‘ is yet another hosted affiliate program solution, which is used extensively on the ‘Net.Although Assoctrac offers a wide array of features, and is reported to have excellent support, as an affiliate, I find the interface just a little on the clunky side. As a merchant however, you’ll probably appreciate the very attractive price on this solution. Ultimate Affiliate by Groundbreak is a script that allows you to run a fully featured affiliate program from your own website with no monthly fees, while promising easy setup and free updates to their software. Many of the merchants whose products I promote use Ultimate Affiliate. As an affiliate, I appreciate Ultimate Affiliate’s simple, easy-to-use statistics interface. Last, but certainly not least are affiliate management program solutions which are built right into your shopping cart. As a merchant just starting out, this may in fact be your best choice, because you won’t have to wonder if the software you buy or lease will actually work with your third-party payment processor and shopping cart – it’s built right in! 1ShoppingCart is the first choice among merchants who are looking for the ‘full-meal deal’ or all-in-one solution with all the tools you will ever need to do business online. The short list of features includes a shopping cart that connects to your merchant account (with support for 60 different payment gateways, including Paypal) and does shipping calculations for your orders. Got a membership site? 1ShoppingCart comes with and Automated recurring billing system, or you can set up recurring billing for individual customers. You can track and split test your ads, and their service also comes with multiple autoresponders and an ebook delivery system. 1ShoppingCart is the system I have chosen to support my next non-digital project. I’ve discussed only a few of the affiliate program management solutions currently available. If you plan to start your own affiliate program, I highly recommend that you read Dr. Ralph Wilson’s “Report on Affiliate Management Software” for a comprehensive and detailed report on a large number of affiliate management software solutions, including user comments on each.